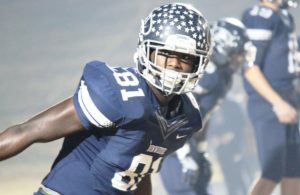 One of Virginia’s biggest recruits this season has decided where he will play football next year. 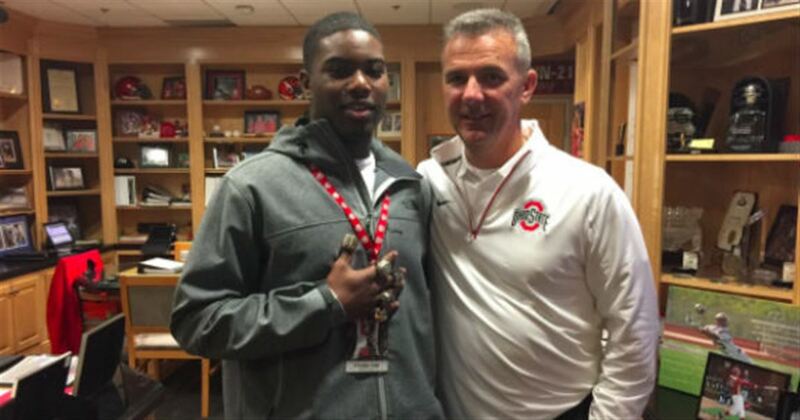 K’Vaughan Pope, the superstar ATH for Dinwiddie High School, has committed his talents to the Ohio State Buckeyes. He had offers from the likes of Clemson, Florida State, and LSU. The final decision came down to Ohio State and the Georgia Bulldogs. 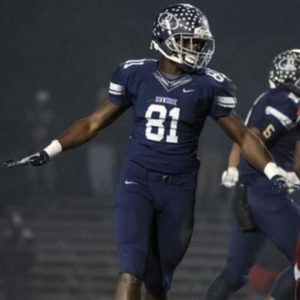 Pope, who is heading into his senior year at Dinwiddie, has a career total of 99 receptions, 1,733 yards, and 13 TDs at the WR position according to maxpreps.com. 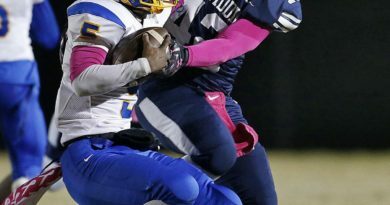 In a game against Hanover, Pope showed shades of Odell Beckham Jr. with a one handed grab on a PAT over four defenders. His talents aren’t just on the offensive side of the ball. The 6’2″, 210 pound star has tallied 179 total tackles, six sacks, and six interceptions at the LB position. 40 of those tackles were for a loss. 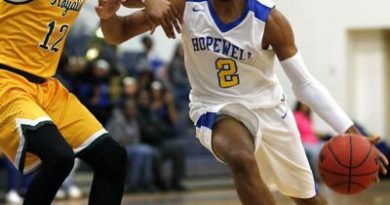 Pope’s high motor and relentlessness to be around the ball is what makes him a special player. Ohio State will be getting a player labeled an athlete due to his performance on both sides of the ball. Pope’s new Head Coach, Urban Meyer, knows a thing or two about developing players. Over the past five seasons, Meyer has had 37 players drafted in the NFL. 11 of those players played either LB or WR, the positions Pope may play in 2018. Ohio State is just two years removed from hoisting the College Football Championship. Since the College Football Playoffs started in 2015, the Buckeyes have made two appearances. Pope’s senior season at Dinwiddie High School kicks-off on August 25th in a non-conference game against Denbigh High School.